North Carolina’s third oldest town, Beaufort lies on the coast bordering the southern tip of the Outer Banks. Originally a fishing village and port of safety dating from the late 1600’s, Beaufort has been visited by patriots, privateers, merchants, and skilled craftsmen who built Bahamian and West Indian style homes and public buildings. Approximately 150 of these restored historic homes proudly bear plaques noting names of earliest known owners and dates of original construction. The Plan of Beaufort Towne, laid out in 1713, survives in a 12-block area which today is on the National Register of Historic Places. Located in the heart of this historic district is the Beaufort Historic Site, which depicts 18th and 19th century coastal Carolina. The two-acre site is open to the public and is staffed Monday through Saturday year-round. For information about guided tours visit our TOURS page. This rustic cottage was once home to Samuel Leffers, a schoolmaster, merchant, and clerk of the court. 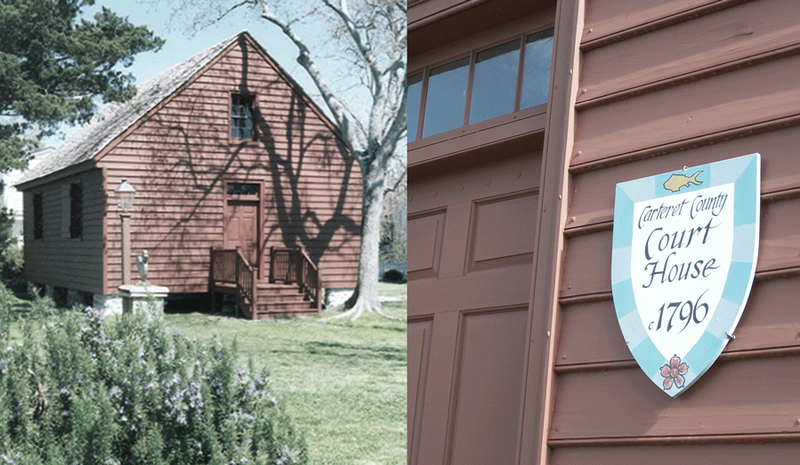 The primitive house provides the perfect setting to showcase artifacts relating to the daily chores of cooking, spinning, sewing, candle making, and weaving in the Colonial period. The charming Leffers Garden depicts a typical colonial garden that would have been found in the 1800’s. The garden is maintained by Master Gardener Volunteers of Carteret County for use as an educational tool. The oldest wood-framed courthouse in North Carolina, the courthouse has recently undergone an award-winning restoration. It serves as the backdrop for our courthouse dramatization, an integral tool for educating today’s youth about the early American legal system. 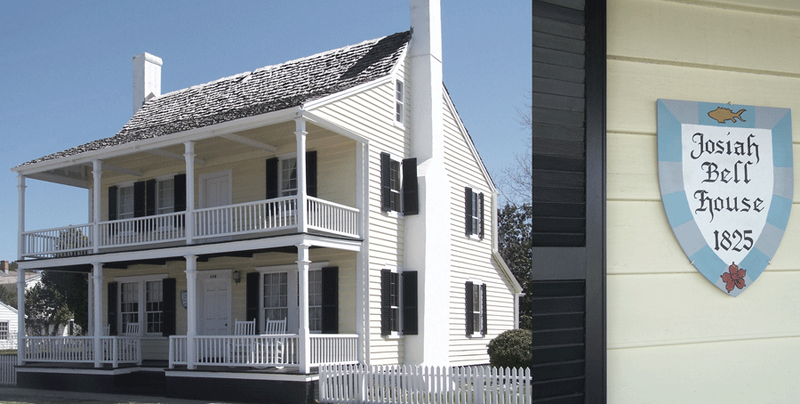 The award-winning John C. Manson House is the jewel of Beaufort Historic Site’s authentic restoration efforts. This elegant Federal-style house stands on its original site as an excellent example of the Bahamian architecture so prevalent in Beaufort. It now boasts exact replications of the historic decorative faux finishes found on the interior walls and exterior doors of the house. This Victorian house served as the residence of the influential Bell family of Beaufort. Josiah Fisher Bell, son of the home’s namesake, was a Confederate agent who was responsible for blowing up a series of lighthouses at Cape Lookout during the Civil War. 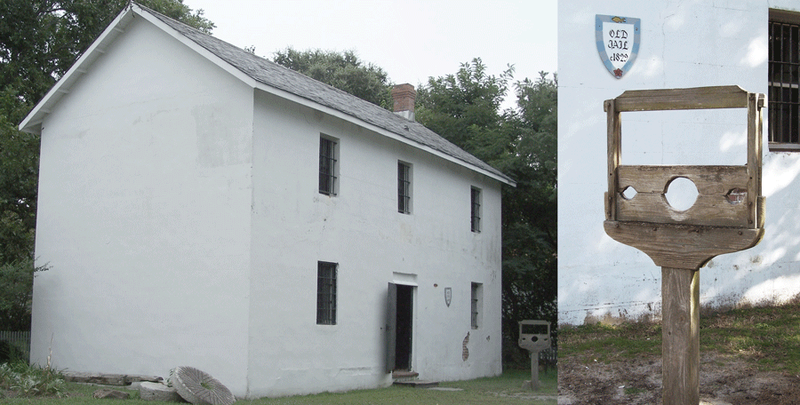 A favorite with children, the Old Jail has 28-inch thick walls and boasts legends of ghosts and a single hanging in 1874. The jailer and his family coexisted here with the prisoners, though the jailer’s quarters were much cozier than those of the inmates. Amazingly, this jail remained in use until 1954. Built in 1859, the apothecary remains essentially unchanged in appearance. It houses a priceless collection of medicinal and pharmaceutical artifacts, most original to the shop, that make it very popular with residents and visitors alike. The Herb Garden, located behind the Apothecary & Doctor’s Office, features a variety of plants and herbs that are an example of what was used for medicinal and cooking purposes during Colonial times. The garden is maintained by Master Gardener Volunteers of Carteret County.